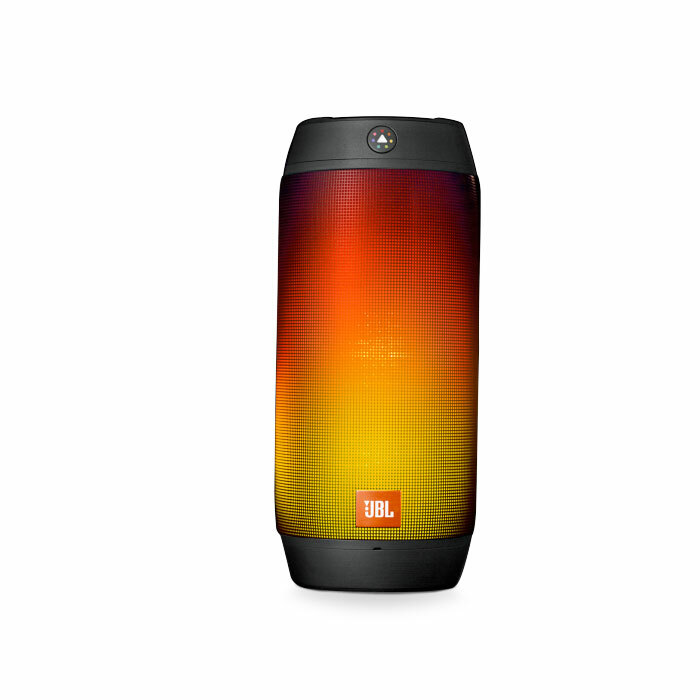 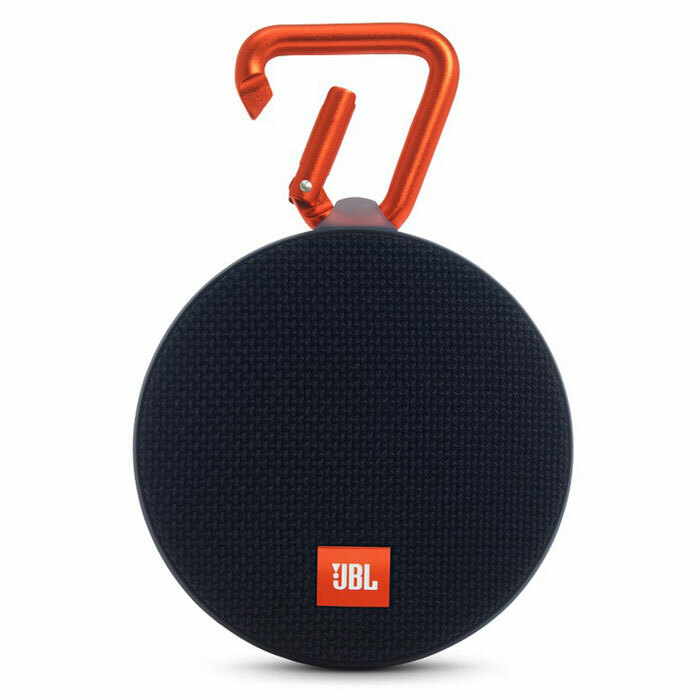 JBL combines wireless audio streaming and portability with the red Charge 4 Portable Bluetooth Speaker. 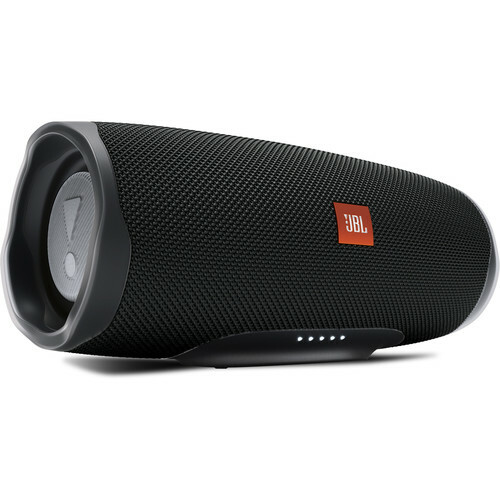 This speaker features a proprietary developed driver and two JBL bass radiators that intensify sound with strong deep bass. 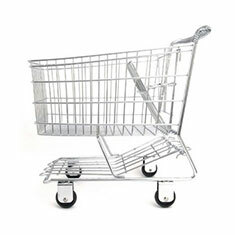 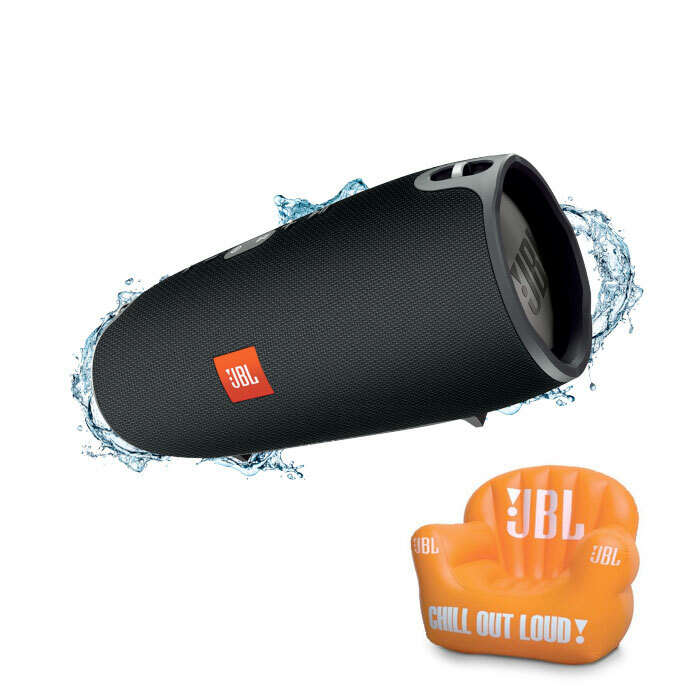 Its high-capacity 7800mAh rechargeable lithium-ion battery provides up to 20 hours of playtime. 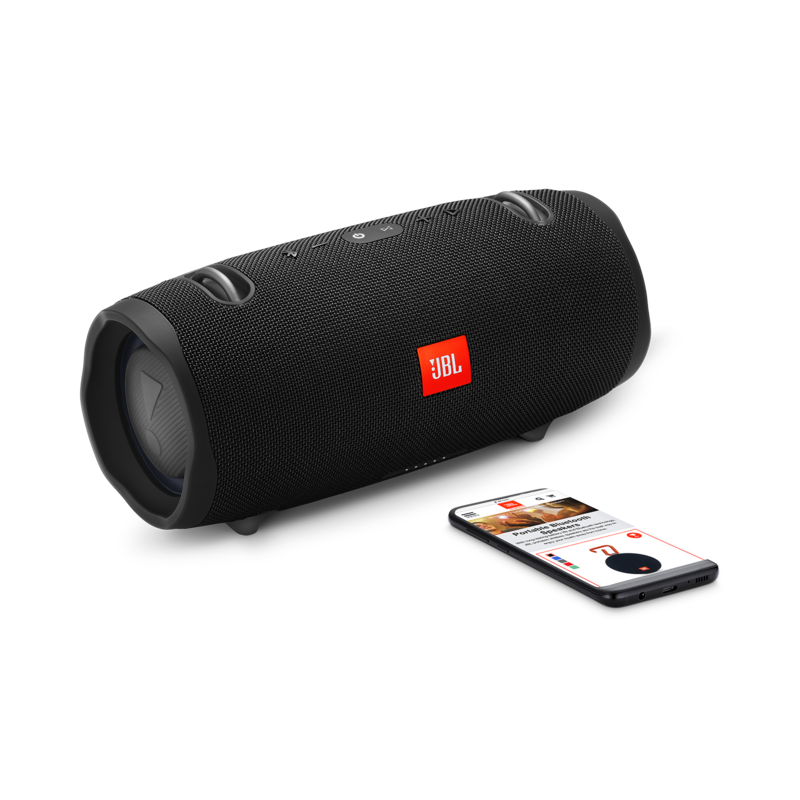 This speaker carries a convenient USB Type-C charge out to quickly power your mobile devices, such as your smartphone or tablet. 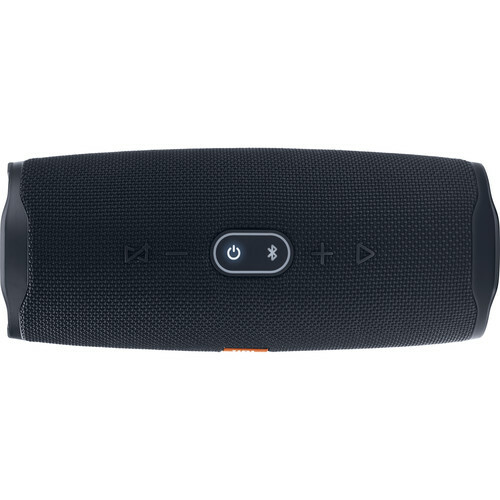 The Charge 4 features a rugged design and IPX7 waterproof rated exterior, which adds protection in any environment. 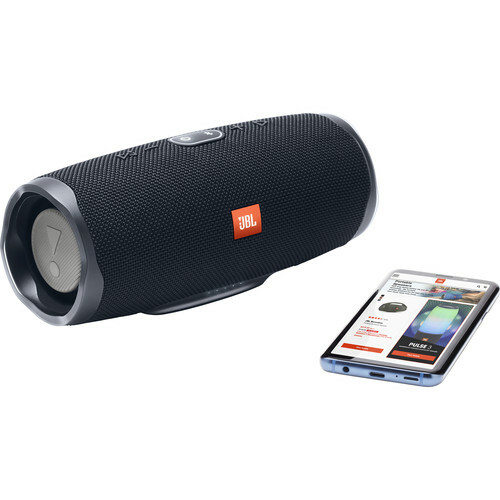 Together with JBL Connect+, this speaker can link with more than 100 JBL Connect+ enabled speakers together to amplify your listening experience. 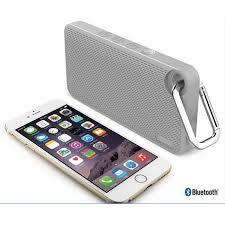 Wireless Bluetooth StreamingWirelessly connect up to two smartphones or tablets to this speaker and take turns enjoying your favorite tunes. 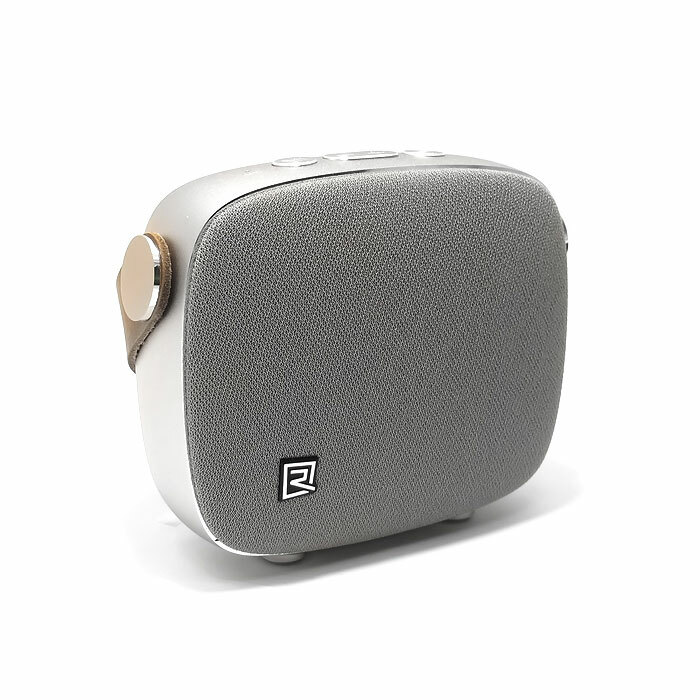 Durable and Rugged FabricThis speaker is wrapped in a durable and rugged fabric that is designed to protect your speaker in any environment. 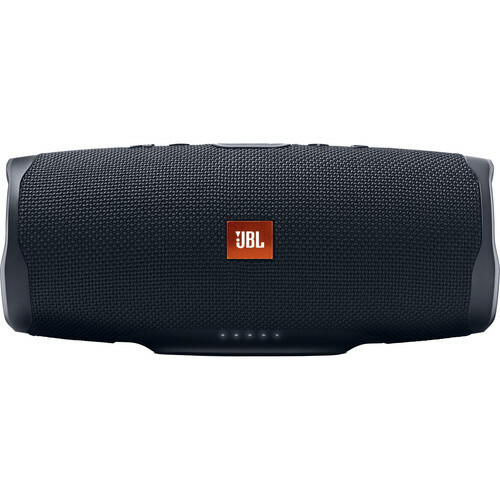 JBL Bass RadiatorDual passive radiators deliver powerful, ear catching JBL sound that resonates loud and clear. 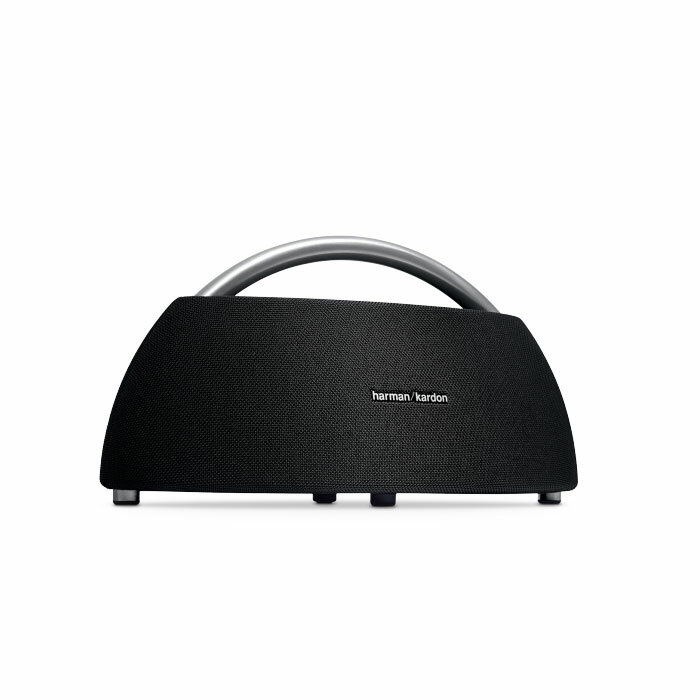 Box Dimensions (LxWxH) 10.0 x 6.0 x 4.75"